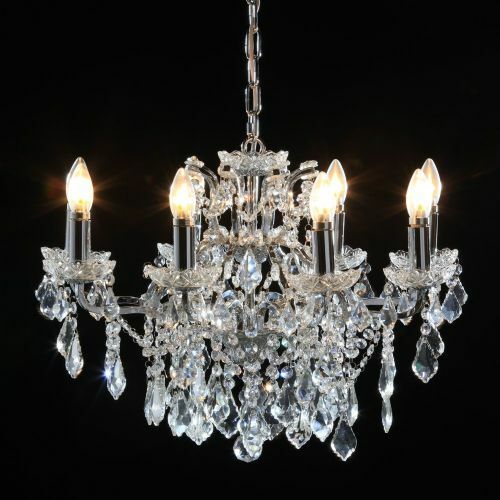 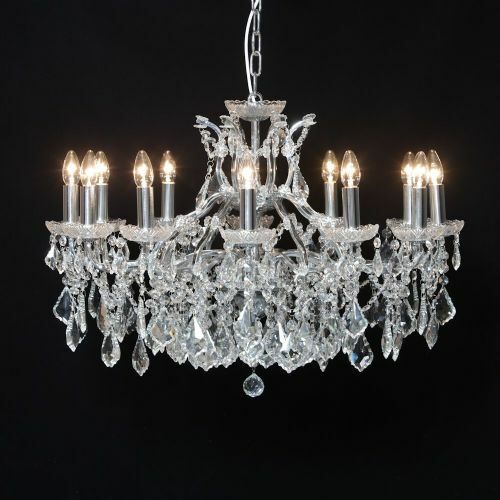 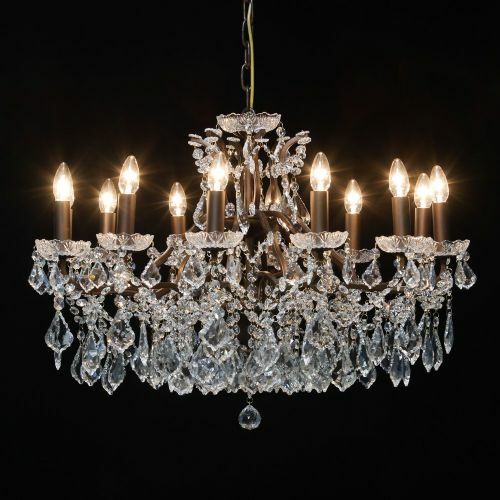 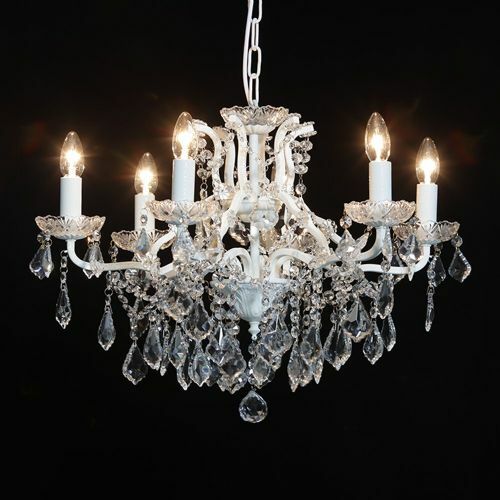 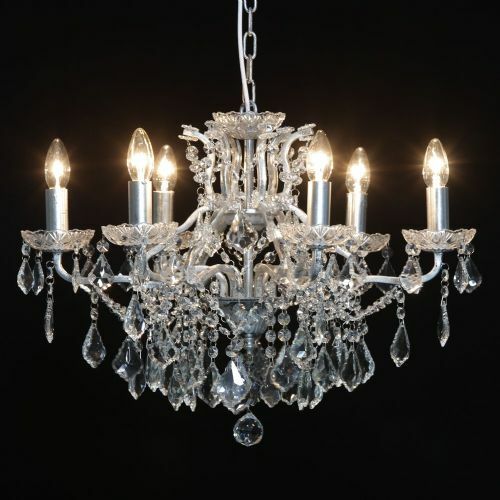 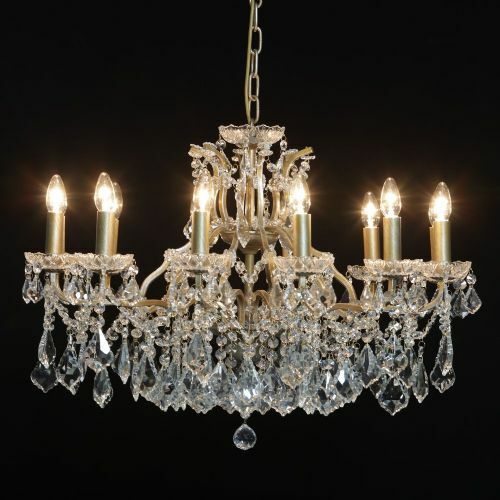 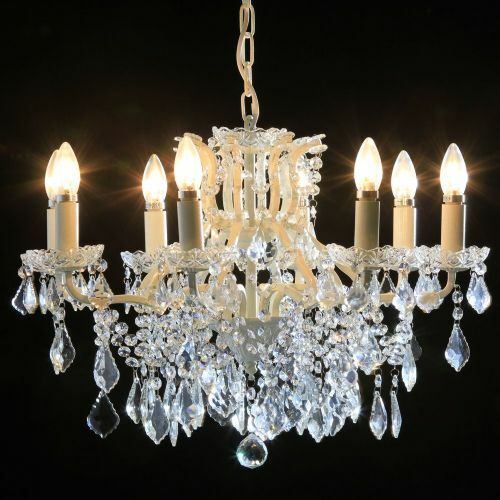 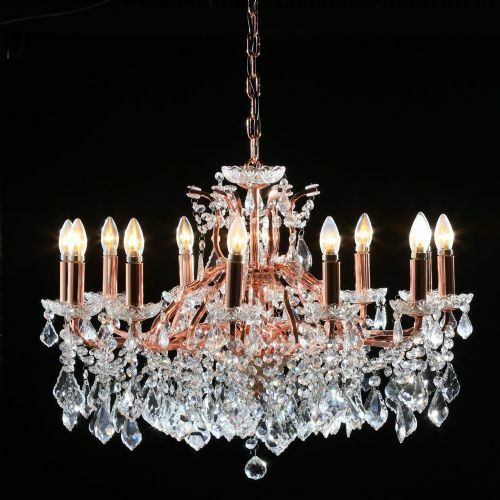 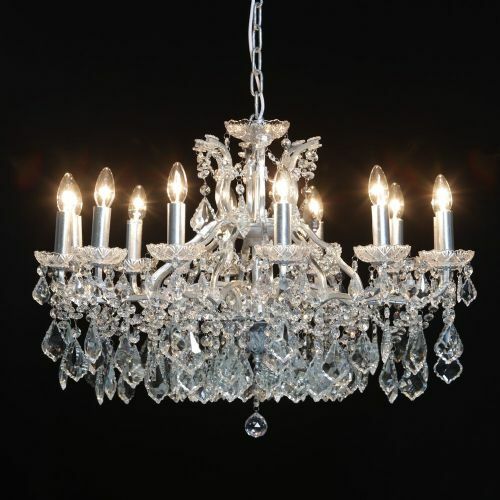 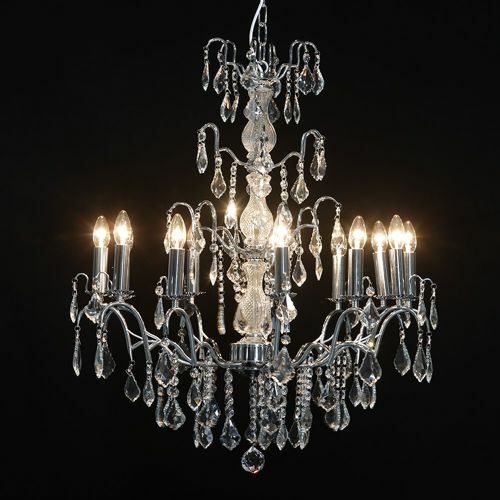 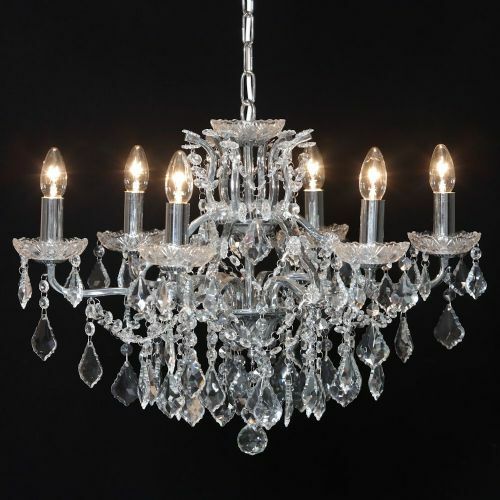 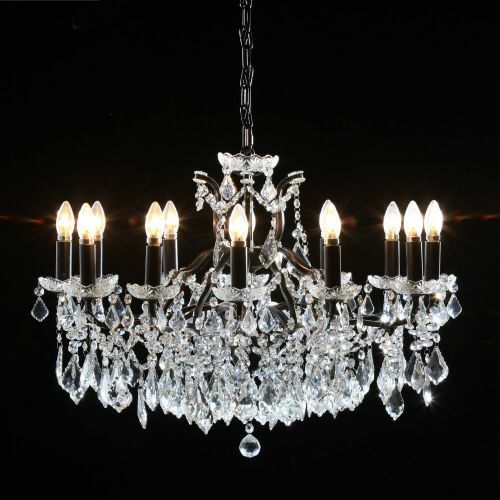 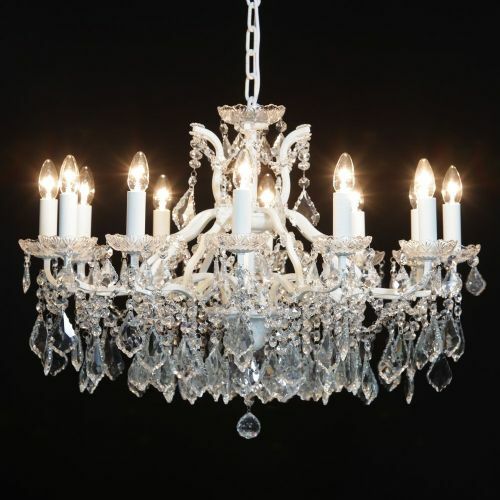 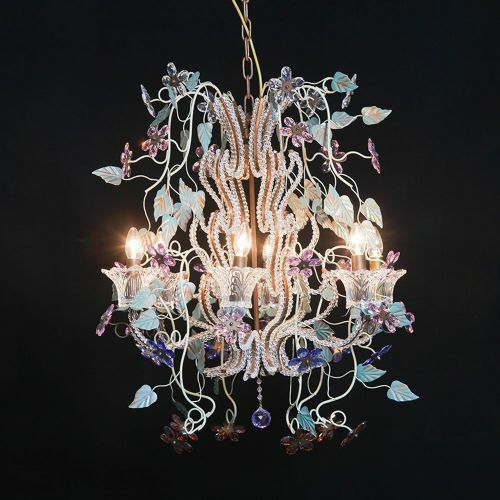 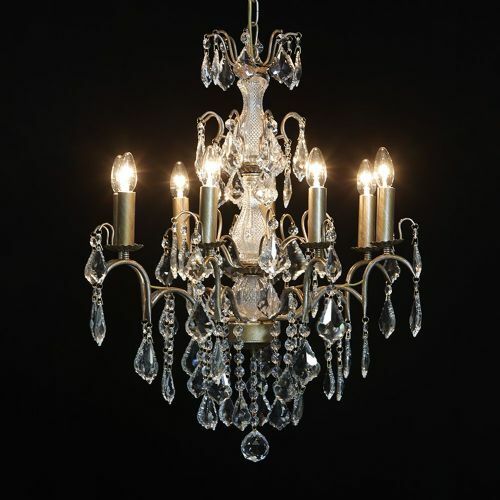 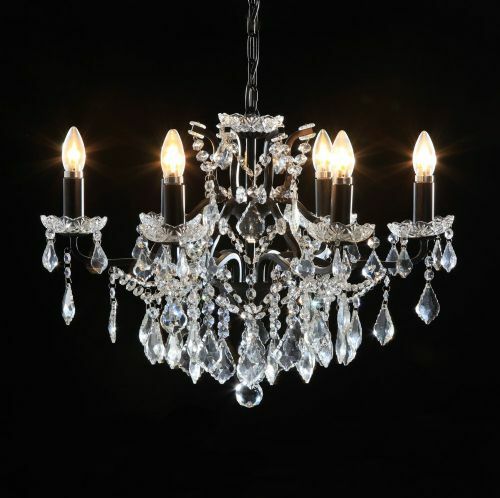 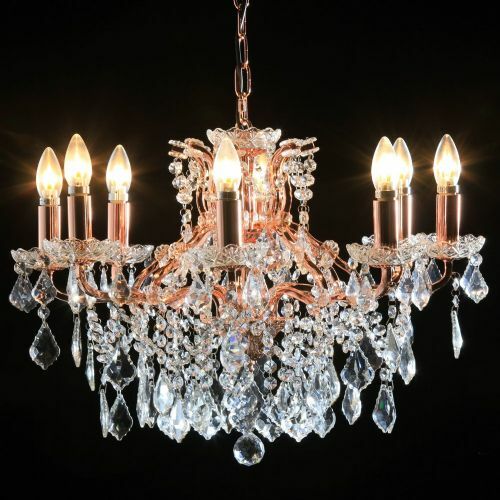 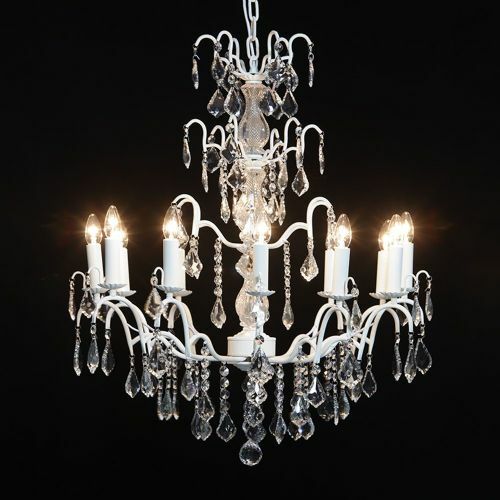 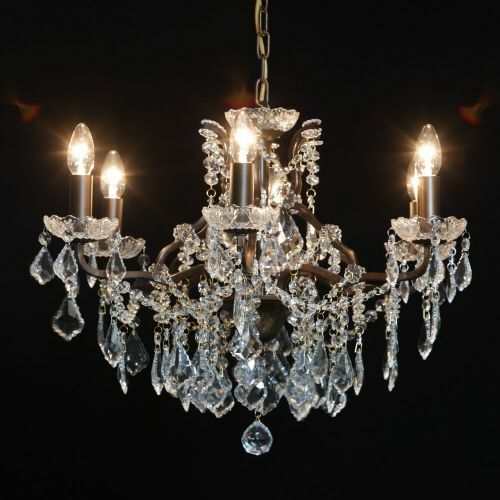 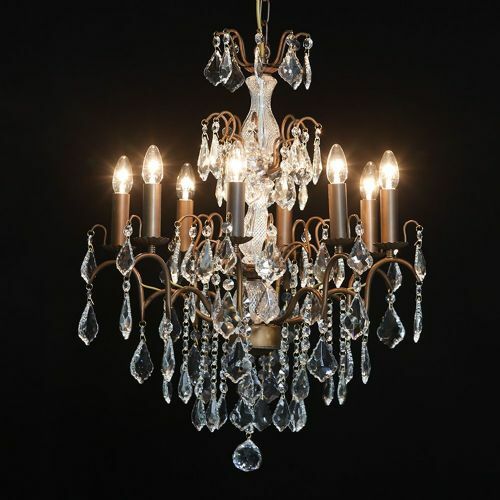 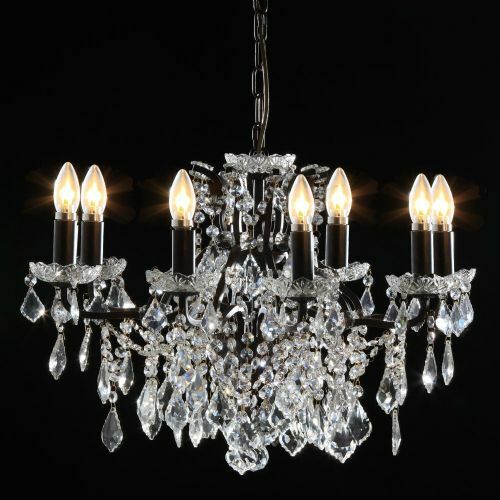 Welcome to our beautiful lighting collection of cut glass antique french inspired chandeliers. 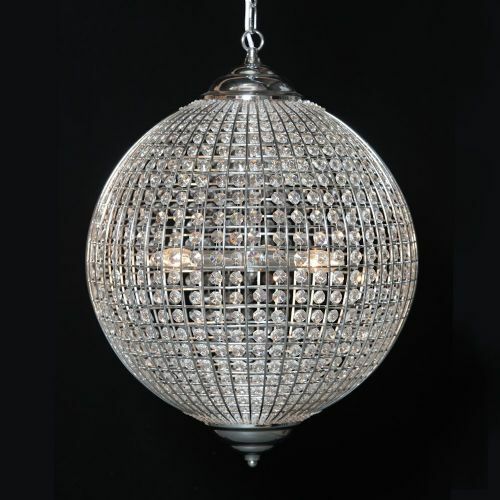 We can also supply small bedside lamps upon request - just ask us for details. 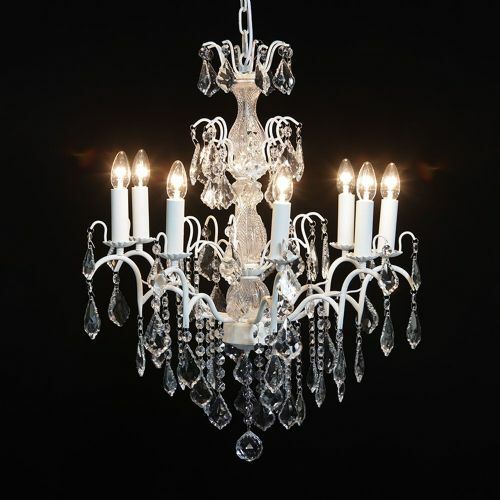 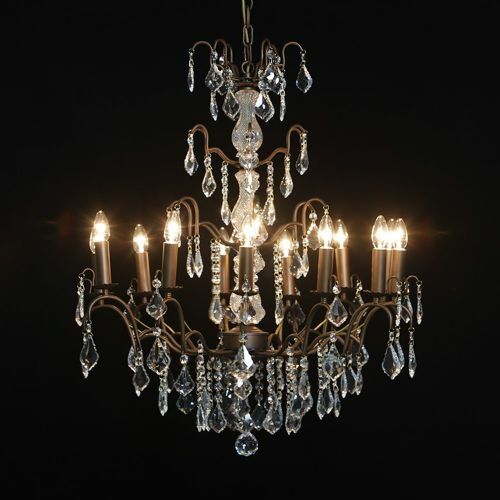 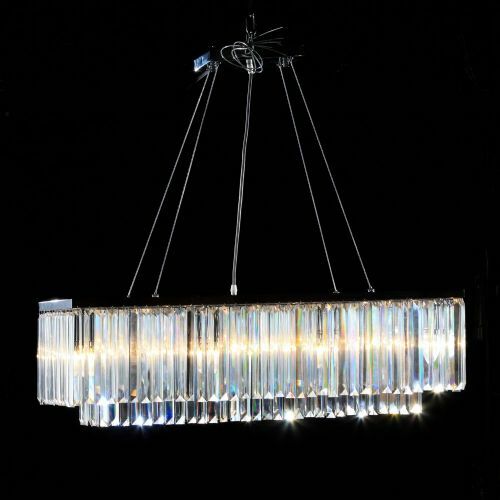 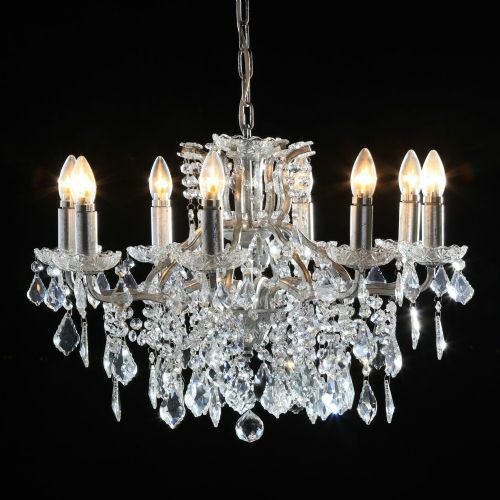 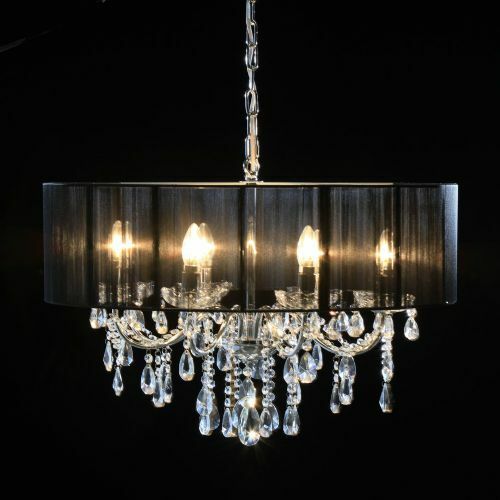 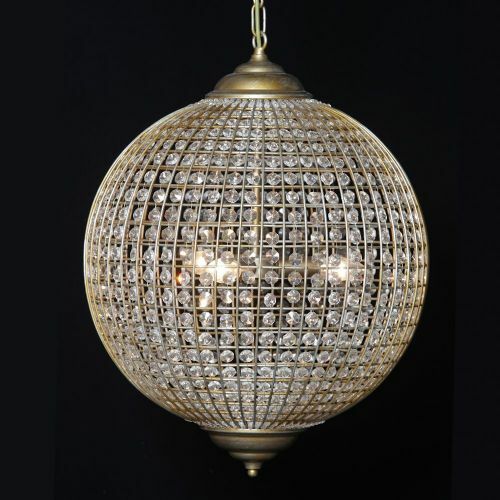 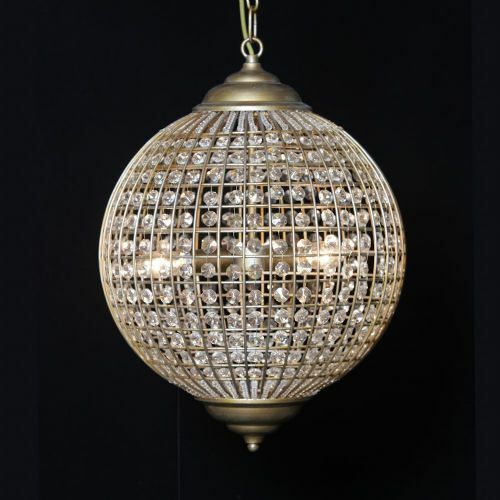 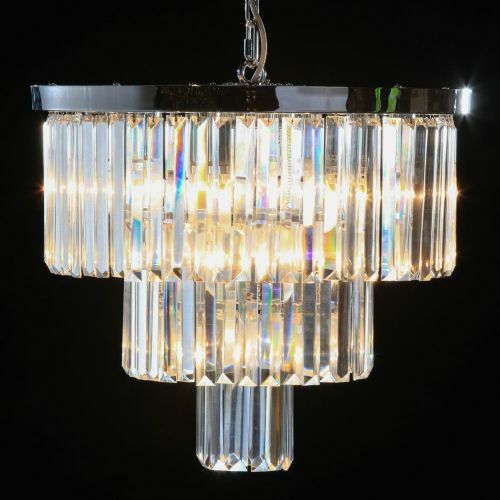 Our chandeliers look simply stunning in an entrance hall, kitchen, dining room or bedroom. 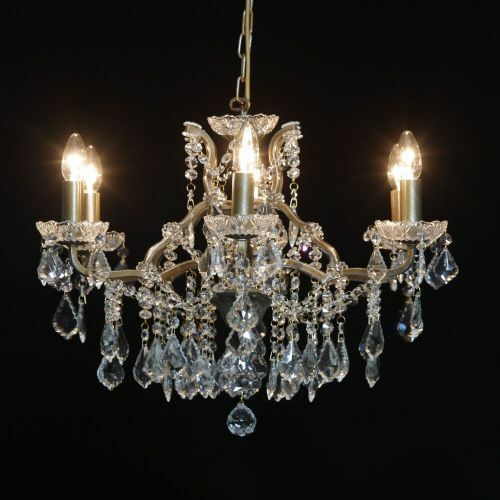 All chandeliers are carefully inspected and hand packaged before despatch in order to ensure that they arrive in perfect condition. 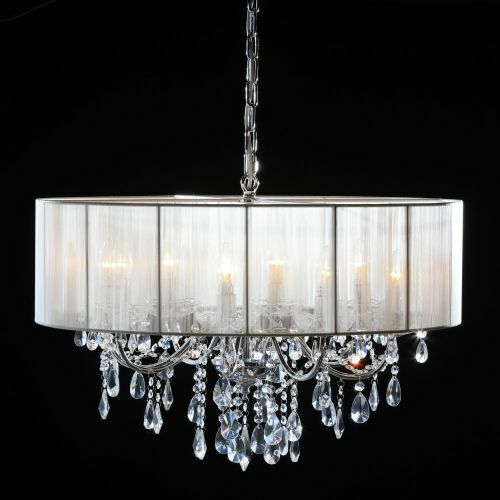 Each chandelier is supplied with a matching ceiling rose and an adjustable chain. 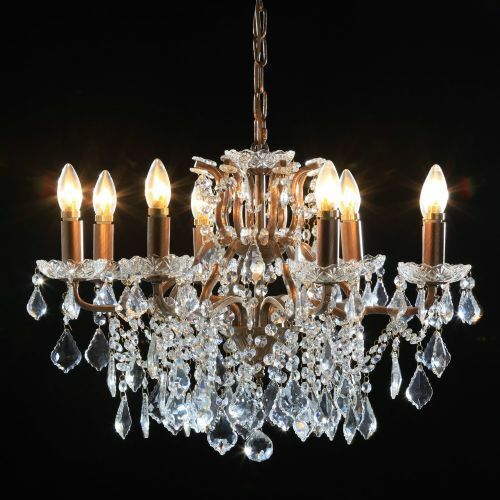 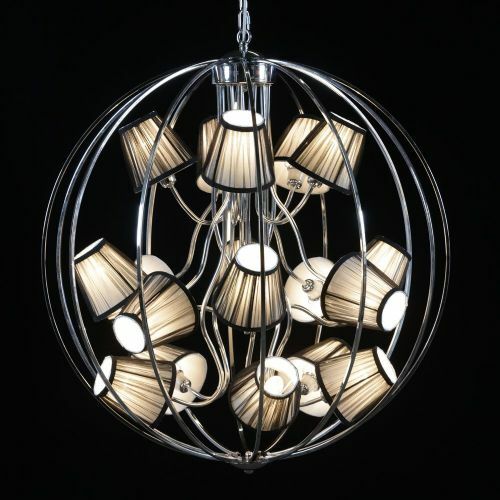 The dimensions given are for the overall size of the chandelier including the hanging pendants and these dimensions do not include the rose and chain. 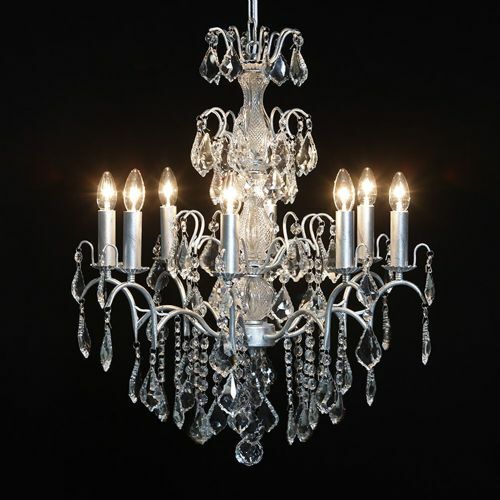 The chain can, of course, be shortened if required. 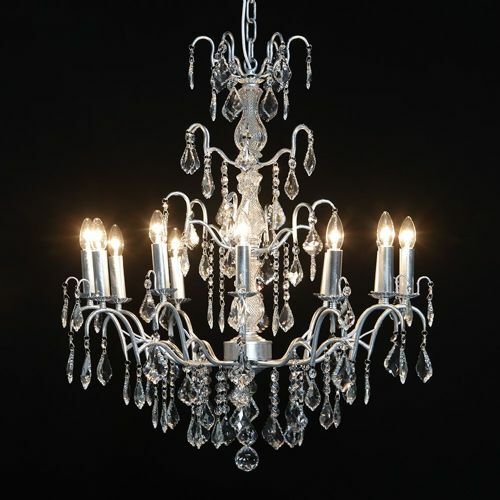 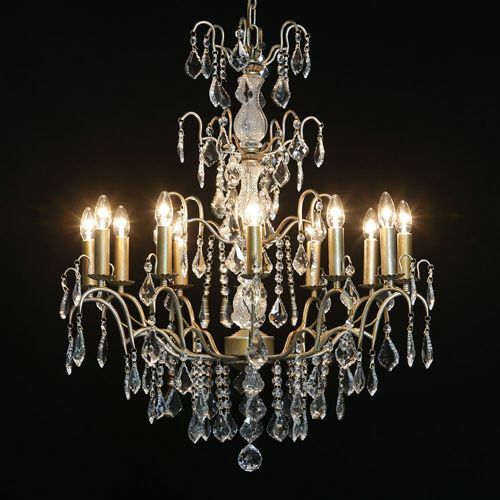 Many of our french chandelier styles are available in different sizes - 5 arm, 6 arm, 8 arm etc and in different finishes including gold, silver, chrome, bronze, black, crackle white and more. 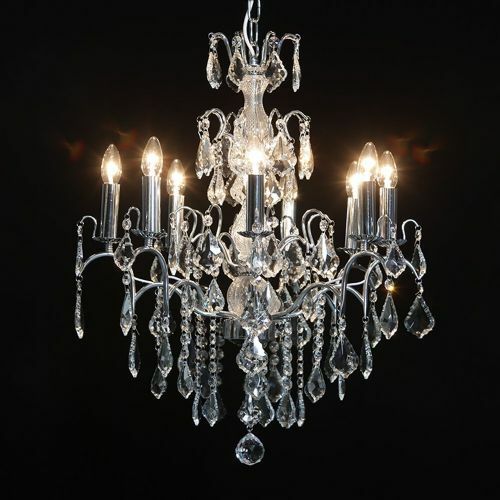 Please ask if you do not see what you require as there are too many options available to show them all here.